Insurance Regulatory Development and Authority permitted agents of general insurance companies to sell mediclaim products of standalone health insurance companies. To encourage penetration of health insurance in Country, it has been decided by IRDA to allow Standalone health insurance companies to avail the services of agents of other life or non-life insurance companies to sell their insurance products. In General, life insurance agents cannot sell health insurance product, for this they have to clear two different certification programs. But now agent who wants to sell both the insurance products would have to clear only life insurance certification. Standalone health insurers have to provide training session of at least 25 hours in order to make them familiar with the health insurance concepts. It is also clearly mentioned in the guidelines that no agent of life or non-life segment would be allowed to sell products of more than one standalone health insurer. Thank you for appreciation. Bajaj Capital Insurance promise you to provide meaningful information on regular bases. 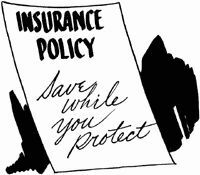 use www.bajajcapitalinsurance.com for any insurance related need. It is good to hear that the life insurance agent can sell the health insurance as well with qualifying the certification as both insurance life insurance or health insurance are important to individual to secure their future finances.